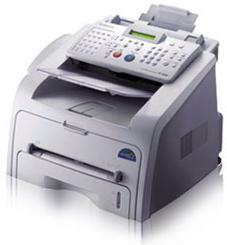 The SF-560R laser facsimile is a multi-purpose office solution that combines the power of SAMSUNG technology, with a combination of faxing and copying. The stylish and compact SF-560R is easy to set up to immediately tackle your most demanding office needs. Get started fast with a 3-second transmission speed and 33.6 Kbps fax modem. Plus, enjoy fast copying at up to 17 cpm. In the event of a power interruption the SF-560R will still receive and store fax data for up to 96 hours. The SF-560R is energy star compliant and uses toner efficiently.